Launch the Sound settings from the Control Panel (Start > Control Panel > Sound). 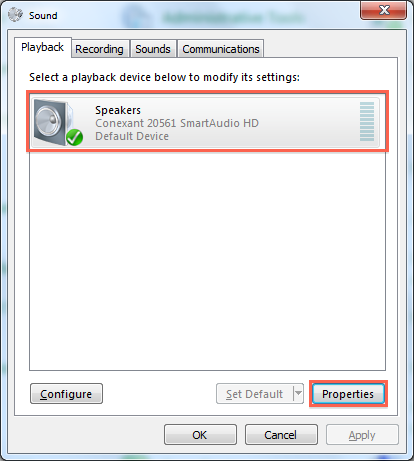 On the Playback tab, select Speakers and click on the Properties button. 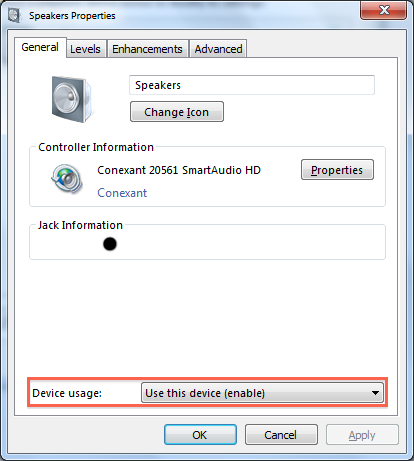 On the General tab of the Speakers Properties dialog, make sure the Device usage selection is set to Use this device (enable). NOTE: The quoted frequencies are the ones that are supported by Splashtop Remote. 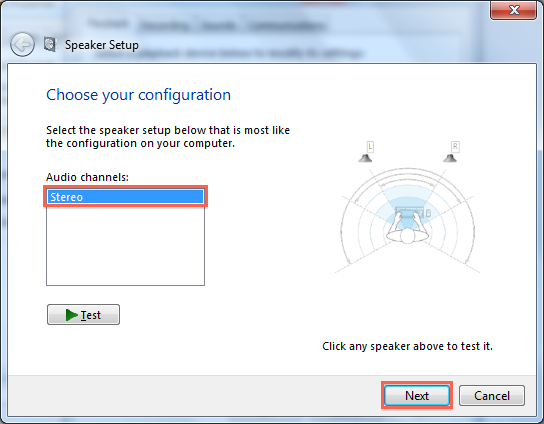 On the Playback tab, select Speakers and click on the Configure button. Configure the Audio channels to Stereo or Stereo Mix and follow through the remaining setup. 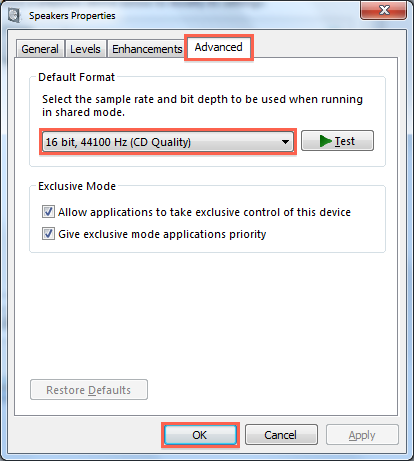 NOTE: Different sound card vendors may choose not to follow the Core Audio Interfaces by Microsoft. Please check your audio device setup (both "Playback" and "Recording" configurations) and change their settings as stated above (Steps 1 - 6) to see if it might help. This worked, but I lost picture. I'm going to try and fix it myself, but the sound at least works now. Do you mean there's no video on your android device? Please try "Run in compatible mode" on android side, find it in Splashtop Settings. As of a week ago, I suddenly have no sound streaming to my android device. I get a notification that says to set my speakers to stereo mode, and it still does not work. Nothing in this guide works either. Please update your win streamer to latest v2.3.0.2 and try again. Since win streamer v2.3.0.2, we provide three options for sound output, please have a try. Thank you. Can't believe I missed that! I just assumed that the streamer was updating automatically or would have prompted me when a new update was available. Something I've discovered is if you have more than one audio device on your computer, like Speakers, SPIDF, and HDMI, for example, Splashtop seems to just latch on to whatever it wants completely ignoring what the default device is. 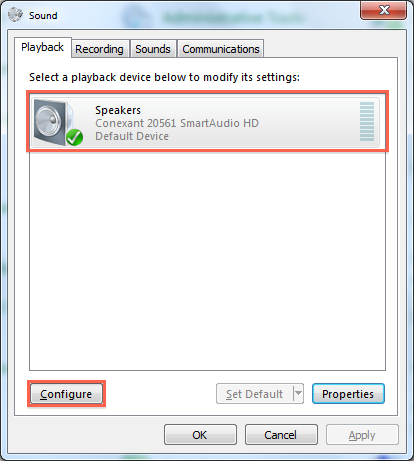 Only way I've found around that is to disable every other audio device completely, BEFORE connecting. Not exactly a great solution.. but so far it's worked for me. What about windows rt? I can hear in my home network but not outside using wifi. I have a Windows 7 computer being controlled by an iPad. The sound for movies is diverted to the iPad and does not play from the computer's sound system (which is what I want). I have to disconnect Splashtop so I can hear the sound from the computer and the re-connect to control the computer. Thoughts?